Banco Nacional Ultramarino (BNU) has made a generous contribution to the UMDF with the aim of supporting both teaching and academic research of a chair professor in the Faculty of Business Administration (FBA) in UM. In appreciation of this generous contribution, a Chair Professor in FBA was named as “BNU Chair Professor of Finance”. 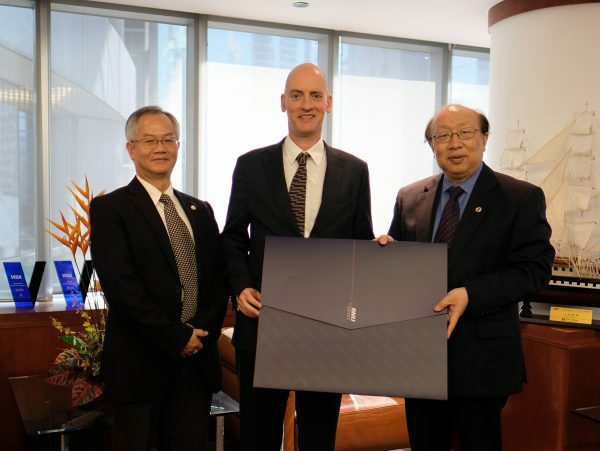 In early 2017, Prof. Wei Zhao, former UM Rector, together with Professor Jacky So Yuk Chow, the first BNU Chair Professor of Finance, Dean of the FBA and Director of the Asia-Pacific Academy of Economics and Management (APAEM) and Mr. Peng Chun Vong, Director of Alumni and Development Office (ADO) visited BNU and had a meeting for discussion with Mr. Pedro O. Cardoso, Chief Executive Officer of BNU. 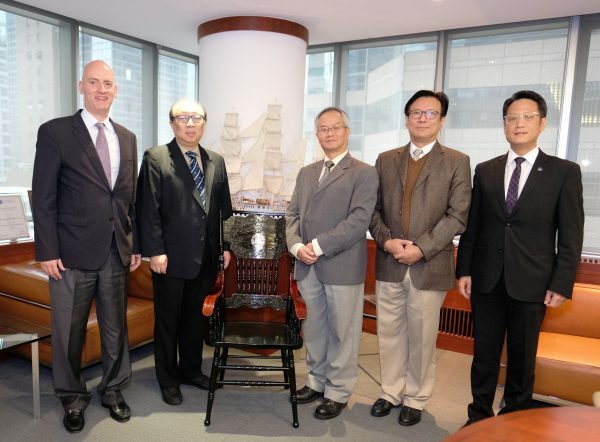 In November 2017, the commemorative Professor Chair of the first “BNU Chair Professor of Finance” was presented to Prof. So.